SYDNEY, N.S. — Rachel Homan's rink has a guaranteed berth in the Scotties Tournament of Hearts after all. Curling Canada announced Wednesday that the Ottawa team will play in the wild-card game Feb. 15, 2019 if Homan doesn't earn an automatic spot by winning the Ontario championship. The wild-card game, which debuted last year, was slated to have the top two teams on the Canadian Team Ranking System not already automatically in the national women's championship. Now, Homan is guaranteed a spot in that game, though there was a good chance she would have qualified under the old format as well. 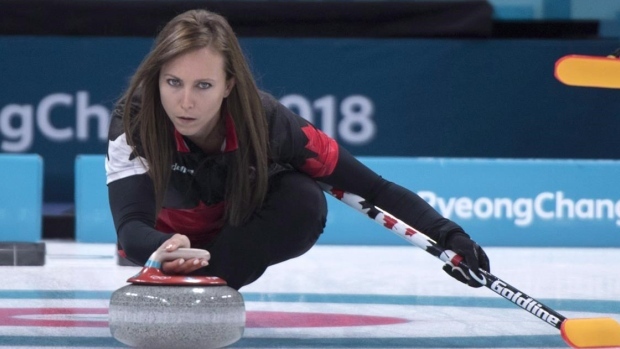 Homan's rink, which includes third Emma Miskew, second Joanne Courtney and lead Lisa Weagle, was supposed to be Team Canada at the 2018 Scotties, but had to decline the berth after winning Canada's Olympic spot last season. The wild-card game winner will become the 16th and final team in the Scotties. The main draw of the Scotties runs Feb. 16-24, 2019 at Centre 70.